What is Waste Ink Pad Error? Every Epson Printers have an internal Waste Ink Pad to collect the wasted ink during the process of cleaning and printing. When this ink pad reaches its limitation, the printer will send you Warning message and refuse to function. Many people get this message just a few months after they bought the printer. This is because the counter for the prinhead has been nearly full. Unlike the previous version of Epson printers, this situation is very commonplace now. During the initial setup of the product, cleaning cycles and when printing borderless photographs, the wasted ink will be sent into ink pads inside the printer. After a certain amount of ink has been absorbed, the printer will send you a message to warn you that the ink pad is already full. And then, an error message appears on your printer screen and your printer stops functioning shortly after that. There are some options for you. The first option is to take your printer to the store and pay about $40 – $50 for maintenance service. This solution will cost you a bunch of money and time also. Or, you could fix it at home by using WIC Reset Utility. 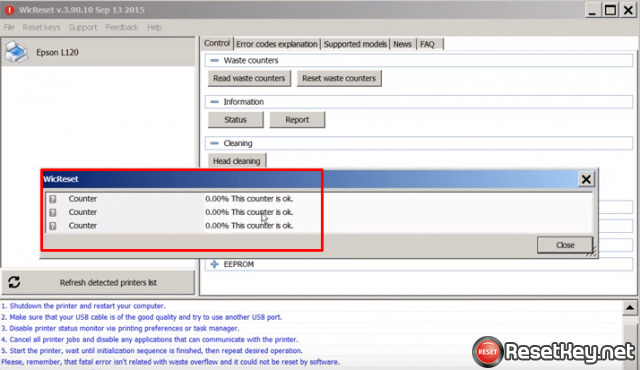 WIC Reset Utility has been recognized as a solution for Waste Ink Counter overflow problems. It has never been such easy to reset your printer. 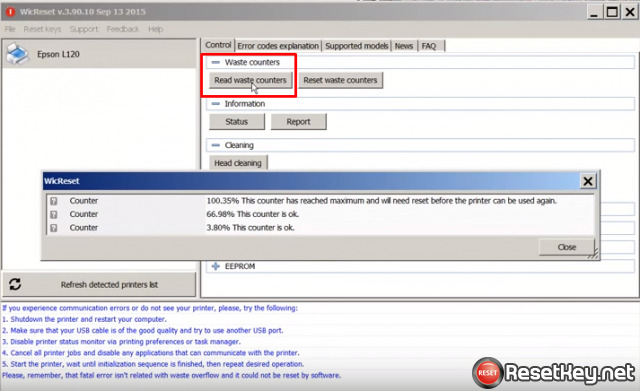 Just in few seconds, this software will reset the wasted ink counter back to zero which allows your printer to run well again. 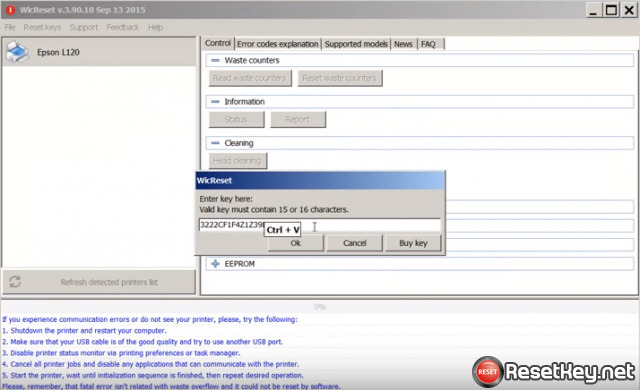 Don’t forget to download WIC Reset Utility for free by clicking on the link below. Hopefully, the information is useful for you. What is Wic Reset Key? How to get wic reset key? What is Wic Reset Key? How to get wic reset key? The WIC RESET KEY is for ONE RESET only. You have to buy a new Wic Reset Key each time you need to reset another printer or you can get FREE RESET KEY and reset WIC to 90% – So You can continue Your printing job in few seconds!